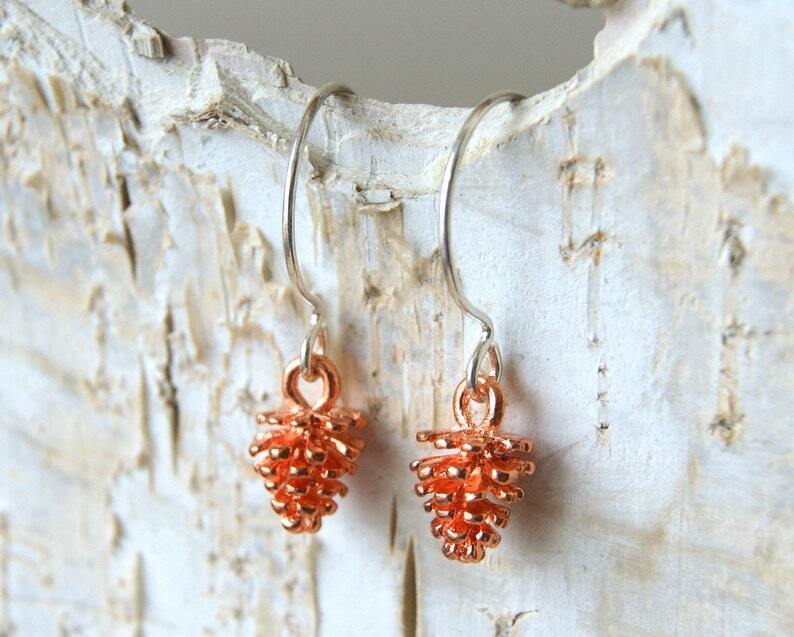 Pine cone earrings comprised of rose gold plated cones hanging from sterling silver earwires. Choose between french hoop or french earwires (seen in last photo). Overall length: french hoops: 1 1/4". french: 1". Perfect earrings for a woodland themed wedding. For the bride or bridesmaids.